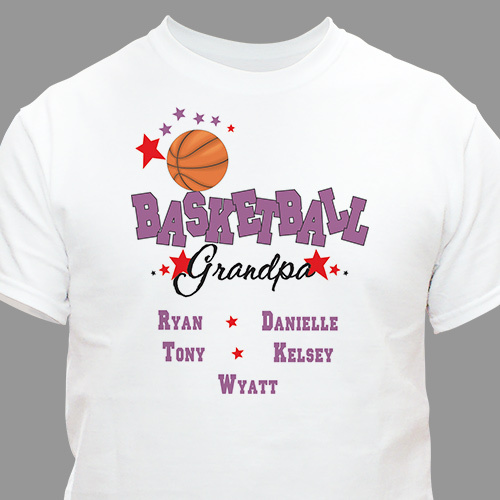 Grandma, Grandpa, Mom or Dad will love to wear these Basketball Personalized T-shirts to every game. A fun Personalized Shirt which shows off all your starting Basketball SuperStars. Your Personalized Basketball T-Shirt is Available on our premium white 100% cotton T-Shirt, machine washable in adult sizes S-3XL. Includes FREE Personalization! Personalized Basketball T-shirts include any title and up to 30 names. It was awesome, and the coaches loved them.